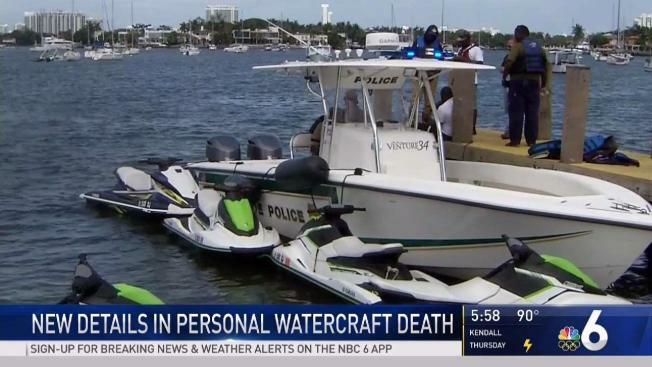 We're learning new details in the personal watercraft crash near Miami Beach that claimed the lives of two tourists. The NBC 6 Investigators have learned that the City of Miami moved several weeks ago to prevent companies from renting personal watercraft from public land near Watson Island. This new information comes a day after Sabrina Daniels, 34, and Julio Monteiro, 30, died when their personal watercraft collided with a concrete bridge support. Police sources and Daniels’ mother said the two rented the watercraft from the location where the city wanted to ban it. "My daughter would be alive today if the rules had been followed," said Angela Hester, Daniels’ mother. A Miami city attorney sent a letter in late July ordering personal watercraft rental companies to “cease and desist” any operations from public land around Watson and Star Islands unless they had prior approval and permits. One city source told the NBC 6 Investigators no companies have gone through that process to obtain permission. An arrest was made after a personal watercraft crash killed two tourists near Star Island. 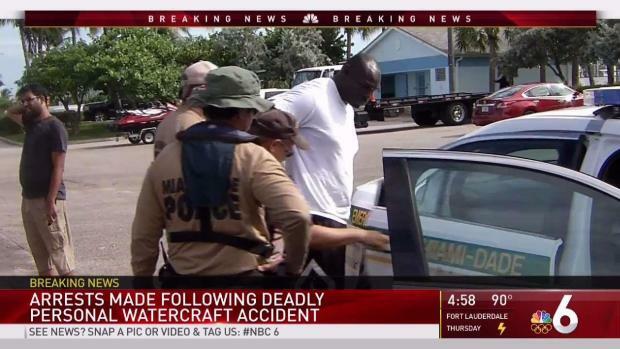 On Tuesday, NBC 6 cameras captured people still able to rent personal watercraft. Cameras also captured a man being arrested on Watson Island after Miami-Dade police said he was operating a personal watercraft business without a license. Officials said the man, 28-year-old Adewale Ojomo, was given civil citations in the past but has continued to run the business illegally. Ojomo's arrest has nothing to do with the personal watercraft crash, police said. 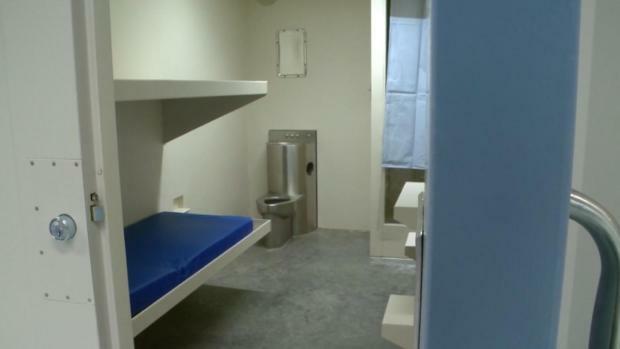 The former Miami Hurricanes and NFL player was released after posting $1,500 bond. Florida Fish and Wildlife officers are investigating the accident that killed Daniels of Atlanta and Monteiro of Massachusetts. Daniels' family members set up a GoFundMe account to help pay for funeral expenses. To see the Miami City Attorney's message to watercraft operators click here.